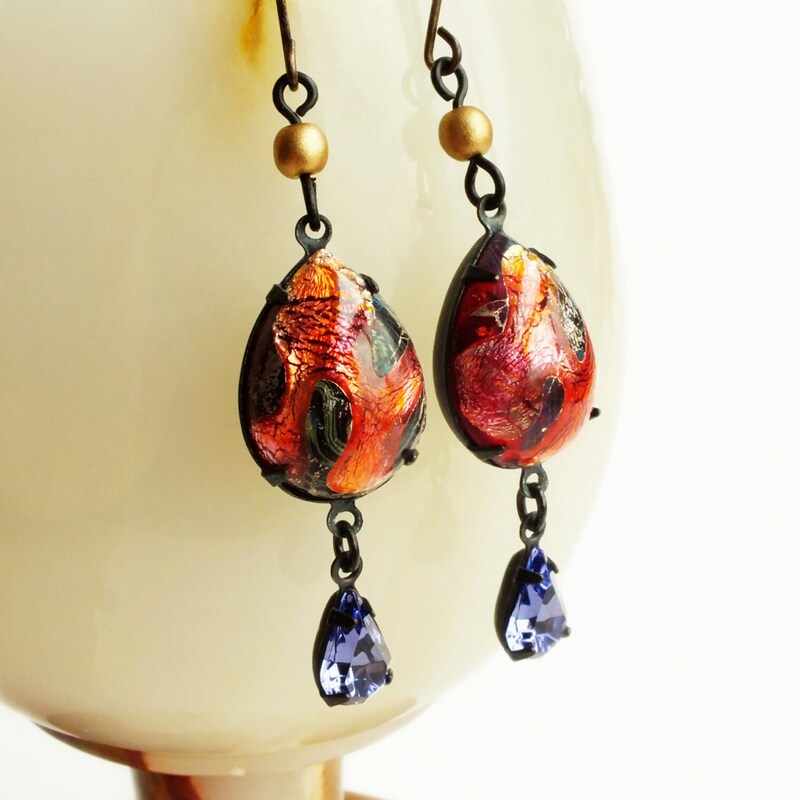 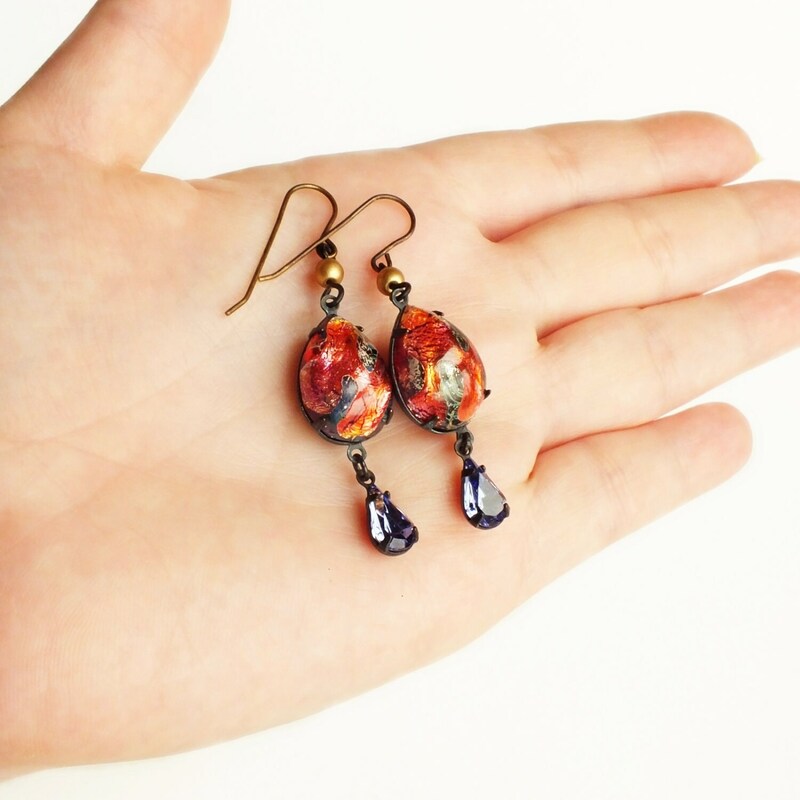 Handmade iridescent red purple glass dangle earrings with vintage volcano lampwork jewels. 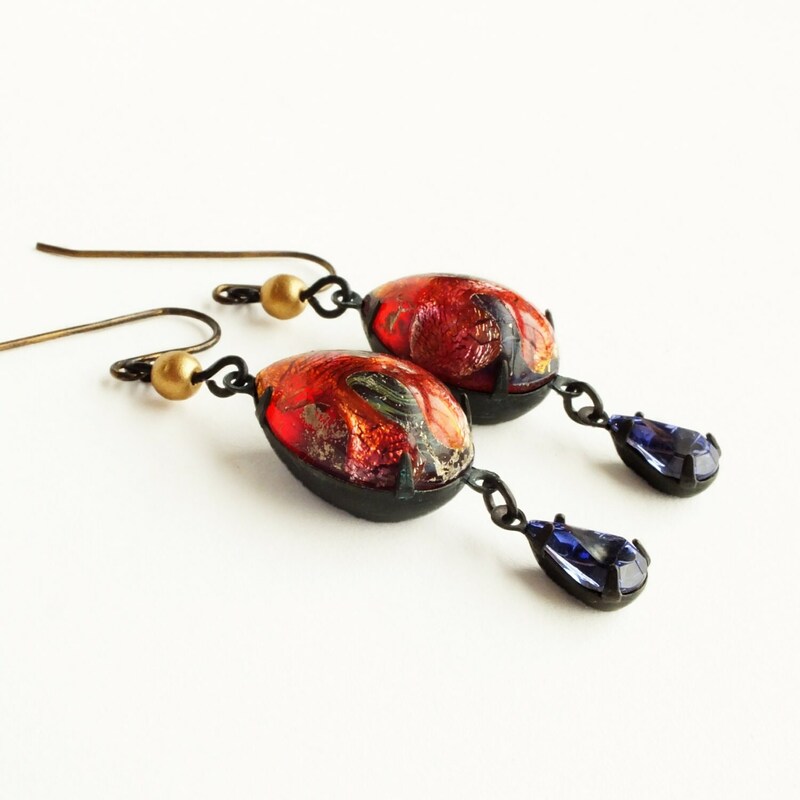 'Volcano' dangles made with mesmerizing vintage lampwork glass cabochons with iridescent pink/ruby/orange and black glass with embedded silver foil. 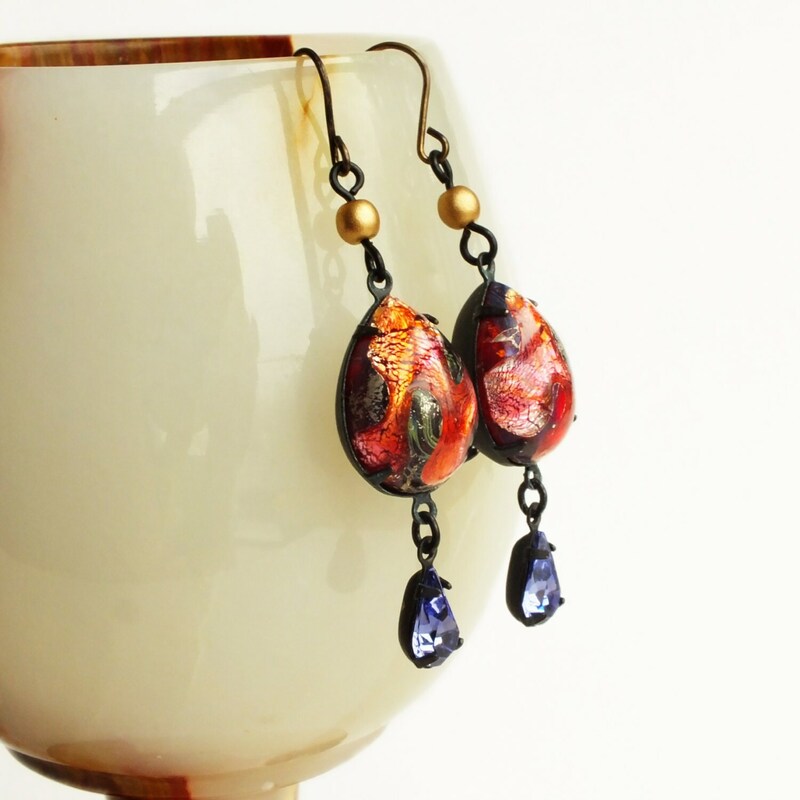 If you could capture molten lava in a stone this is what they would look like! 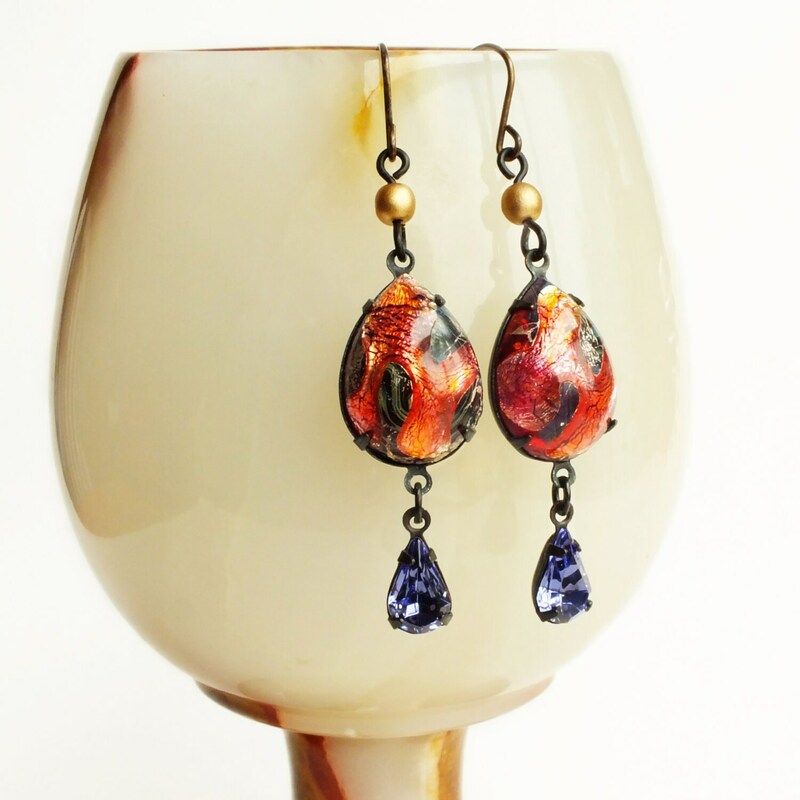 I set them in dark matte brass pronged frames topped with matte gold Czech glass beads and adorned with vintage Tanzanite violet glass rhinestone drops.